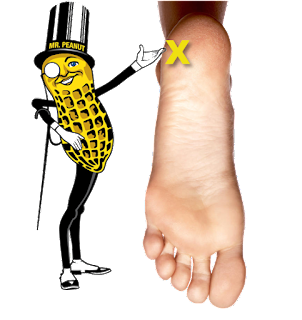 If you're ever looking for ways to ruin your appetite, I suggest looking up foot pain on Google Images. I did that, and I'm now confident in saying that the foot is our ugliest external body part. The reason why I was looking at feety things was because I've been experiencing acute foot pain in my heel that the Internet thinks is Plantar Fasciitis. 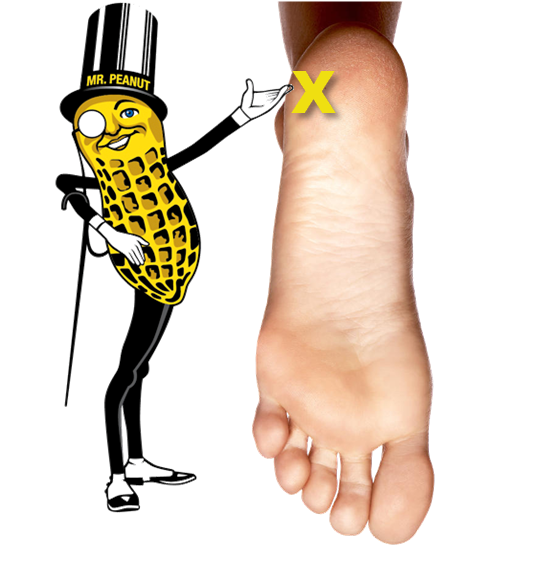 I usually associate the word Plantar with mixed nuts, but this seems to be something different. I learned, in terms of pain, that acute means short term and chronic is long term. At least that's what the trainer person said in an infomercial that I couldn't switch off because the remote was out of reach. Whether my pain is here to stay or just visiting, I can tell you it's very annoying. 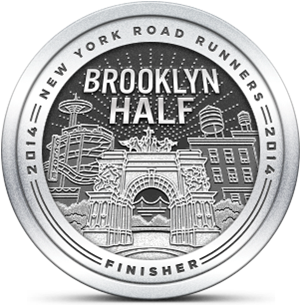 I first started experiencing discomfort at the bottom of my left heel about three weeks ago. Interestingly enough, that's when one of my co-workers generously donated his standing pad to me because he decided that using a standing desk was dumb. Prior to using that pad, I had no pain in my heel. It seems counter intuitive that a pad made specifically to reduce leg fatigue for people who stand for long periods would create this problem. But when it comes to feet, all bets are off. Plantar Fasciitis is a strange affliction. I'm not really sure what it is. As a matter of fact, I don't think anyone actually knows what it is. If you look it up, it's blamed for just about anything having to do with foot pain. My particular problem is when I put pressure on my heel it hurts. The pain is fairly sharp (one might even say "acute"), but it minimizes once I walk around on it. So far it hasn't interfered with my running, although it is noticeable at the start. I did treadmill runs yesterday and today. They were fairly identical except that Saturday's music had more Sheila E while today's had more Prince. I think Price wrote some of Sheila E's songs so technically they were identical. But I digress. My treadmill experiences have been good of late, mostly because I limit my distance to 3.25 miles. My friends SIOR and KWL and a few work colleagues often spend well over an hour on the treadmill. I can't do that anymore but I can psych myself up to cover about 5K. Despite this heel pain, I seem to be covering a lot of ground. According to my Garmin 35, I've taken about 14K steps today. A chunk of that was my morning run and another chunk was when I walked to the library to return a DVD. In both cases my heel pain was minimal. How it felt afterwards was a different story. I'm going to look up things you're supposed to do to address heel based Plantar Fasciitis. I'm also going to take a break from my standing mat to see if that makes it better or worse. If going mat-less makes it better, I'm going to give it to someone in the office whom I dislike. Maybe that's how I got it in the first place. Why do you have a remote for your Samsung or laptop? I never would have taken you for a Prince fan (mainly because he's awesome, and Steely Dan is the opposite of awesome which I guess would be awful), let alone Sheila E. although, you do lead a glamorous life. If you buy a Samsung television it comes with a little device to help you switch from channel to channel. If you don't have that available to you while you are running on the treadmill, you'll eventually be presented with unwanted commercials. In my case, at least I learned something. I'm sure you are surprised that I like Prince because we specifically talked about the fact that I like Prince while we waited for the other Runsketeers in your tractor trailer a few weeks ago. We didn't discuss Sheila E at that time. I like them and many other musical artists including Steely Dan who you might appreciate if you ever bothered to listen to them. I do lead the glamorous life but, deep down, I know that love would only conquer my head. At least we are in agreement that I only listen to about 5% of what you say. And you remember about 5% of what you do listen to. A Steely Dan ban is an executive order from our so-called president that I could actually support! I'm looking forward to the moment when you realize that you've been confusing Steely Dan with Steeler's Wheel this whole time. Rest, anti-inflammatories, arch supports and calf stretches if memory serves. Good luck. Injuries are almost as bad as steely dan. Thank you for the medical guidance. I think you, SIOR and any other musical fascists you know should carpool to D.C. to lobby Congress to immediately deport Steely Dan fans. Oh wait, stuff like that doesn't seem to require an act of Congress anymore.